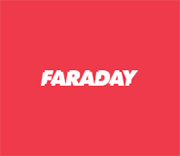 Dynamic Training course for Faraday! Become a pro with our on-site training. This training consists of two 8-hour on-site sessions administered by two members of our expert team. We will work with your group to set up a fully functional environment for your Faraday installation and show you all the tricks to be a Faraday Master.